My middle guy and I were up bright and early so we hit up Starbucks and Whole Foods. 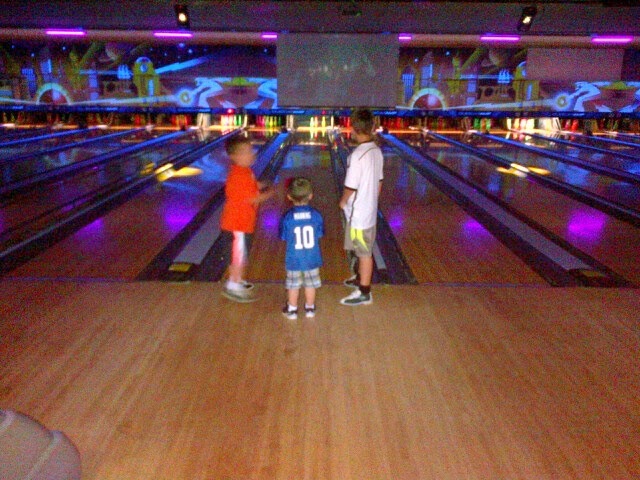 Ran to get my nails done and then picked all 3 kids up to take them bowling so my husband could go to work. Sitting out back now relaxing while the big kids are in the pool. We usually plow through fruit like crazy each week, but for some reason we had 6 leftover apples so just made applesauce and Chocolate Chip Apple Bread is in the oven. Will report back if they like it. It's a Groupon kinda day so later will hit up a local Italian restaurant to use another one up since it is set to expire.